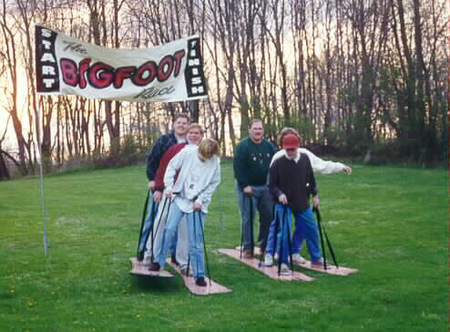 Big Foot Race is the perfect item for any event that calls for a fun & crazy game. Each racing team is made up of three people, and in order to get anywhere, the individual team members must work together as a group. This item is ideal for both teens and adults. And best of all, it makes huge strides in developing teamwork and cooperation, creating a hilarious event. 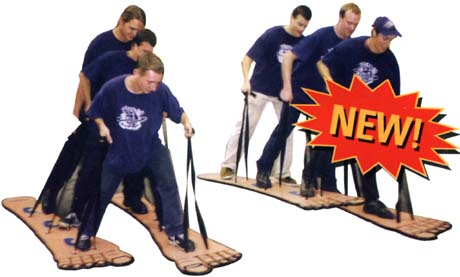 It features 2 sets of rugged “Big Feet” (8′ long) and heavy-duty straps.